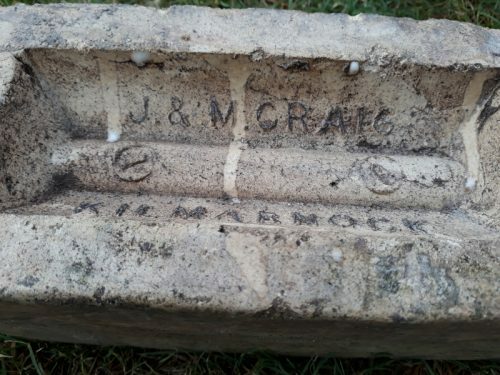 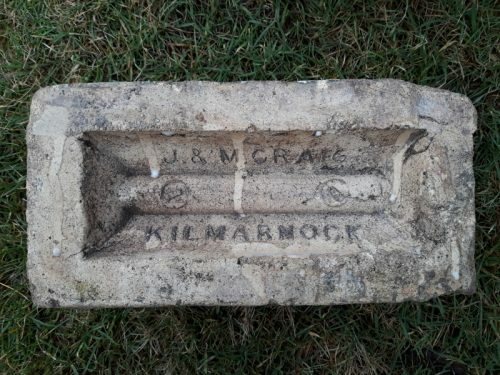 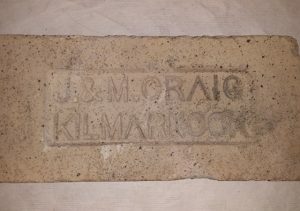 J & M Craig, Perceton Fireclay Works, Dreghorn, Ayrshire . 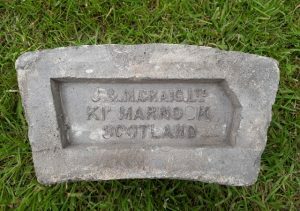 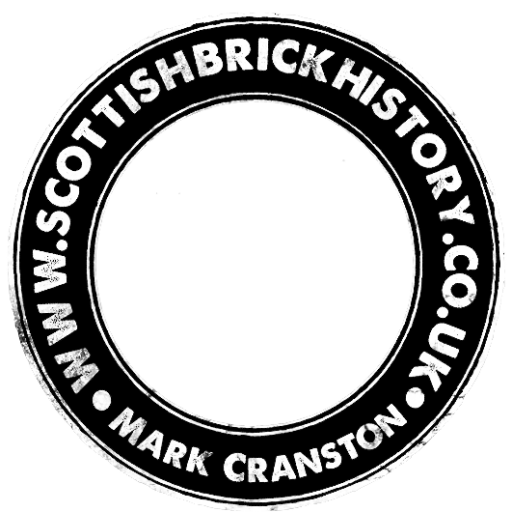 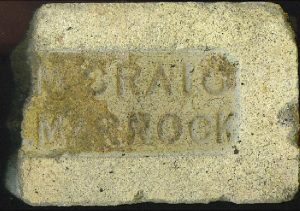 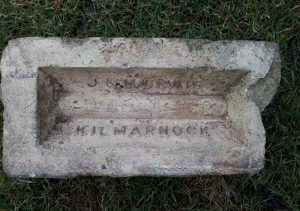 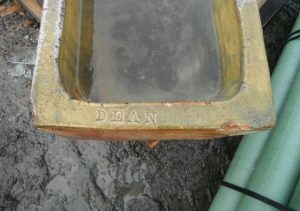 This brick is enamelled to one side and stamped on both sides of the brick. 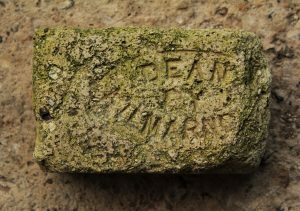 The bottom of the brick frog is unusual in that it is formed from a rounded ‘bar’ of fireclay so the section showing the screwheads is actually bevelled up the way.